As we have since July 2006, each Friday we’ll post our sampling of cigar news and other items of interest from the week. Below is our latest, which is the 532nd in the series. 2) John Drew Brands has named Jonathan Drew CEO, Nancy Berkowitz president, Steve Chernoff national sales manager, and Frank Moreno national director of brand development. In addition, the venture will be supported by Joey Reichenbach and Sam Morales, the creative director and director of marketing at Drew Estate, respectively. Founded in 2015, John Drew Brands bills itself as “an authentic lifestyle company initially focused on the alcohol beverage category.” Its three introductory products were launched in April: Brixton Mash Destroyer (55% bourbon, 45% rum), Dove Tale Rum, and John Drew Rye. 3) The Hemingway Rum Company, maker of Papa’s Pilar, officially opened its new Rum Distillery & Experience Center in Key West this week. The distillery building, originally built in 1878, once served as an all-brick tobacco warehouse. After a three-year renovation, the over 8,000 square foot facility now features a 350-gallon Hamilton pot still with a custom-made reflux column that can produce up to 80 gallons of rum per day, along with a visitor center, tasting room, and trading post shop. 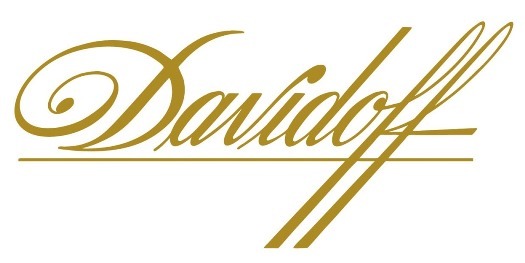 4) Inside the Industry: Next month, select stores will receive the Davidoff Limited Art Edition 2017. The release features 5,000 boxes of 10 cigars equally split between 5 different boxes that feature works by Trinidadian artist Rodell Warner. The cigar sports an Ecuadorian Habano wrapper, Ecuadorian Sumatra binder, and filler tobaccos from Brazil and the Dominican Republic. Each cigar carries a suggested retail price of $39. 5) From the Archives: In 2008, we featured a commentary on cigars and Memorial Day. Go back and read it here. 6) Deal of the Week: Oliva fans will want to jump on this sale featuring numerous boxes of popular Oliva blends for 40% off. Included are the highly-rated Serie V, Serie V Melanio, and Connecticut Reserve. If you really want to stock up, add promo code “GBP20D” at checkout to knock $20 off an order of $150 or more.